… Because human beings are capable of counting (“one, two, three…”), we imagine that is how numbers were arrived at. … The story seems to demonstrate that a crow (or at least the crow in the story) has a sense of “one”, “two”, “three”, and “many”. … In brief, one corresponds to a stage of non-differentiation; two—polarity or opposition; three—movement toward resolution, as expressed, e.g., in the Christian trinity. This paper has been adapted from the final chapter of Jungian Archetypes: Jung, Godel and the History of Archetypes, Nicolas-Hay, 1996, with the permission of Nicolas-Hay. Copyright Nicolas-Hay Publishers. With the dawn of the Renaissance, we awoke from our long slumber and looked out again at the world around us. For a long while that was intoxicating enough. But as we’ve seen, inevitably we came at some point to observe the mind doing the observing. That involved us in nasty little questions about the relationship between the world outside and the world inside our minds. In the late 17th century, flushed with Newton’s success in seemingly subsuming everything in heaven and earth within his laws, Locke developed an explicitly rationalist/materialist description of the mind. By the 18th century, Berkeley and Hume poked holes big enough to drive a freight train through Locke’s model. There was no longer the possibility of ignoring the issue. Kant took a huge step toward resolution of the problem with his theory that the human mind contains categories which organize our perceptions of the world. Though the categories he picked were more the product of his time and culture than true cognitive invariants, he had seen the essential point: all perception is psychological. Though Kant’s realization should have led immediately to the development of psychology, it was too early to effect anyone except other philosophers. The rest of the world went on apace, hardly noticing the difference. Mathematics followed a similar path. When it came out of its slumber early in the 17th century, the first product was analytic geometry, which demonstrated the equivalence of geometry and arithmetic. That soon led to the discovery of calculus by Newton and Leibniz. Calculus enabled scientists to quantify both their observations and their theories to an extent hitherto inconceivable. Make no mistake about it, calculus was the most significant tool science has ever developed. But calculus depended on infinite processes, a fact that at the time was only dimly appreciated. Just as Locke’s attempt to present a materialist picture of the mind led to the problems presented by Berkeley and Hume, the development of calculus should have led ineluctably to the problems of infinity. The problem of infinite limits in calculus, however, was well hidden in the foundations of mathematics, so for two hundred years there was no mathematical Berkeley or Hume to clearly define the problem. And with no clearly defined problem, there was no mathematical Kant to resolve the problem. Instead Euler was the chief representative of the era, and Euler was more concerned with building a great edifice based on mathematics, than with examining its foundations. Though still consciously unresolved, the issue continued to evolve in the unconscious. By the 2nd half of the 19th century, psychology finally emerged from the unconscious, wearing the twin faces of experimental and clinical psychology. It took someone like Freud, who bridged both camps, to discover the unconscious. 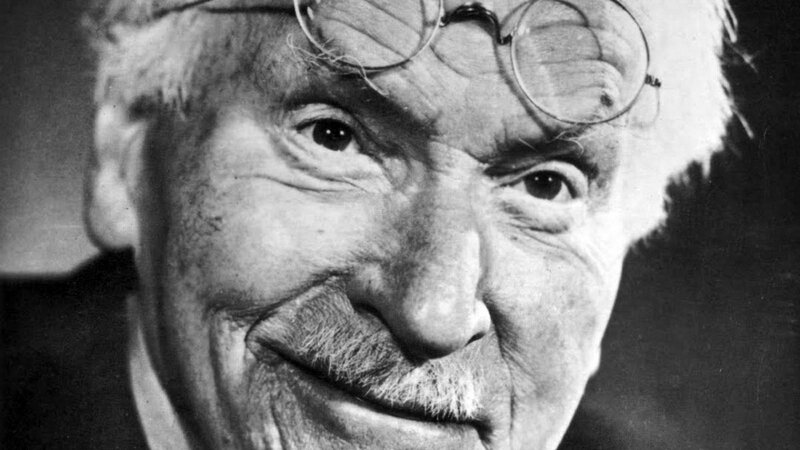 It took someone like C. G. Jung, who bridged not only both camps, but also science and philosophy, to discover the collective unconscious. At the same time that psychology began to emerge out of philosophy, Cantor’s discovery of transfinite set theory defined a new mathematics. For the first time, all of mathematics was (at least potentially) brought under a single umbrella, much as Newton had done for physics two centuries earlier. With mathematics’ foundations now fully in view, the previously hidden problems could no longer be ignored. Paradoxes appeared in mathematics, much as they had appeared in philosophy, and they wouldn’t go away. Bertrand Russell tried to shift the ground to logic, but the paradoxes still wouldn’t go away. David Hilbert tried to shift to finite metamathematical solutions, but the paradoxes lay hidden there as well. Eventually Kurt Gödel was able to prove that the paradoxes would never go away, because the core of mathematics is number, and every number is a true symbol. Both Sigmund Freud in psychology and Bertrand Russell in mathematics were examples of premature attempts at synthesis. Neither was able to take the necessary next step toward the archetypal hypothesis. After much intellectual struggle, each had an intellectual epiphany which too quickly hardened into dogma. Neither was willing to modify their initial positions despite strong evidence to the contrary. It is interesting to speculate what would have happened in each case if they had been more flexible. In contrast with Jung and Gödel, both of whom were introverts uncomfortable with the attention of the wider world, Freud and Russell were both extraverts, with almost unequaled ability to communicate their concepts to a wider world. If Freud had been willing to give up some of his authority, and to fully accept the concept of the collective unconscious, it might have allowed him to work hand-in-hand with Jung in developing a true archetypal psychology. Given how significant an impact Freud has had on the world, it is easy to imagine that the archetypal concepts would be as widely known as psychoanalytic concepts. If Russell had been willing to accept that his desire for the supremacy of logic was inherently flawed, he might very well have come to Gödel’s proof of the necessary incompleteness of all logical systems decades before Gödel. Given his status in both the philosophical and mathematical worlds, it is quite likely that the proof might have immediately driven both fields in a new direction. Perhaps philosophy would have once more become a significant factor in intellectual life; perhaps mathematics might have rallied around this new position and advanced in areas such as cybernetics earlier and further than they did. For example, just imagine if the development of computers had started in the 1920’s instead of the 1940’s. In addition to his scientific writing, Russell was also probably the greatest intellectual popularizer of all time. He would have been in an ideal position to communicate these strange new ideas to the broader public, much as Einstein’s concept of relativity became known almost universally. It is even possible that Russell—a charismatic figure who personified the intellectual—might have filled Einstein’s position in the public eye decades before Einstein. On the other hand, it is perhaps more likely that it was not yet time for the archetypal hypothesis to emerge in either field. Time after time, we have seen how ideas gestate over a long period of time, then emerge whole, seemingly out of nowhere. But, of course, they do not really appear out of nowhere; they develop out of sight in the unconscious, only to emerge in the consciousness of a small number of supremely gifted individuals whose minds are flexible enough to stretch and include strange new concepts. Jung and Gödel were clearly such men. Jung was a virtual contemporary of Russell, both a generation younger than Freud. Jung’s excitement at discovering Freud, then meeting him in 1906 was comparable to Russell’s excitement at discovering Peano in 1900. When in the grip of such excitement, there is always a tendency to swallow the new ideas whole, then puff up like a bullfrog. Russell did just that. Jung had much the same reaction after Freud anointed him as his successor, making a hitherto unknown young psychologist the 2nd most important psychoanalyst in the world. In contrast to Russell, though, Jung never swallowed the pill whole. Though Jung did not fully break with Freud until 1913, almost from the beginning of their association, he saw Freud’s limits and to began develop his own ideas on the sly. Gödel, born in 1906, was a generation younger than Jung and Russell. Like Jung and Russell, as a young man he was prodigiously bright, yet not quite sure what direction he should go with his abilities. In his case, it was Hilbert’s program for mathematics that excited his interest, as Russell had been excited by Peano’s logic, and Jung by Freud’s psychoanalytic psychology. Gödel first began to be taken seriously during his college years, when he attended meetings of the Vienna Circle. This was a group of philosophers, logicians and linguists who were evolving what would come to be know as logical positivism. Gödel could very well have taken a place at the forefront of this movement, but sensing the limitations of their position, chose to go his own way instead. Jung developed most of his ideas in isolation from the psychoanalytic community after his expulsion from the movement in 1913. By 1930, virtually all of the main-lines of his psychology were in place, except his alchemical model, which would develop slowly over the rest of his life. Gödel developed his incompleteness proof in 1930, and published it in 1931. Over the next few years, he developed some important extensions of this work, then struggled with Cantor’s continuum hypothesis for over a decade, with his most important proof in this area in 1940. From the 1940’s until his death in 1978, Gödel spent as much or more time on philosophical speculations, most of which are still unpublished at this point-in-time. Where their ideas were to overlap was in their separate yet similar speculation on the nature of number. We’ll begin with Jung, since it was so unlikely that he would have ever have come to such a point. I felt a downright fear of the mathematics class. The teacher pretended that algebra was a perfectly natural affair, to be taken for granted, whereas I didn’t even know what numbers really were. They were not flowers, not animals, not fossils; they were nothing that could be imagined, mere quantities that resulted from counting. To my confusion these quantities were now represented by letters, which signified sounds, so that it became possible to hear them so to speak. It is fascinating that, though Jung struggled with mathematics as a boy, and never became comfortable with it as a man, his study of archetypes eventually brought him back to the primacy of number. Throughout his career Jung took a scientific approach to the material he encountered in dreams, myths, fairy tales, art, science, etc. He observed patiently, described what he had observed carefully, then tried to construct models that fit the observed facts. But all great scientists—and Jung was certainly a great scientist—have an additional ability: a nose for what is significant in the mass of data. This ability to sniff out something important that others might overlook was at work even in his late days. Through his study of his patients’ “number” dreams, Jung came to believe that the smaller natural numbersare symbols in much the same sense that the people and events of our dreams are symbols of personified collective character traits and behavioral situations. The integers seemed to correspond to progressive stages of development within the psyche. In brief, one corresponds to a stage of non-differentiation; two—polarity or opposition; three—movement toward resolution, as expressed, e.g., in the Christian trinity; four—stability, wholeness, as in a quaternity, or a mandala, which is most commonly four-sided. As so many times before in his career, Jung went beyond this limited model, and took a brilliant leap toward generalization of these discoveries: he speculated that number itself—as expressed most basically in the small integers—was the most primitive archetype of order. There is something peculiar, one might even say mysterious, about numbers…[if] a group of objects is deprived of every single one of its properties or characteristics, there still remains, at the end, its number, which seems to indicate that number is something irreducible.…[something which] helps more than anything else to bring order into the chaos of appearances.…It may well be the most primitive element of order in the human mind.… we [can] define number psychologically as an archetype of order which has become conscious. Since the natural numbers were each true symbols of order, the implication was that the development of mathematics reflected the progressive development of order within the psyche. Even more than that, Jung felt that number might be the primary archetype of order of the unus mundus itself; i.e., the most basic building blocks of either psyche or matter are the integers. The question is, of course, whether or not Jung was right. Let’s begin by examining to what extent the natural numbers are archetypal. Number is a very ancient archetype that seems to predate humanity itself. In Number and the Language of Science, mathematician Tobias Dantzig mentions a number of examples of animals and even insects who seem to possess a number sense. In one striking example, he tells the story of a crow who had built its nest in the watch-tower on a squire’s estate. The squire was determined to shoot the crow, but the crow was too canny; whenever the squire or his men would enter the tower, the crow would fly away until the coast was clear. The squire tried sending two men into the barn. One stayed hidden in the tower and one came out again. However, the crow was too smart and wouldn’t return until the second man also came out. The experiment was tried on successive days—unsuccessfully—until finally five men went in and only four came out. This time the crow evidently thought that all the men had come out, and returned to the watch-tower. The squire was finally rid of the crow. The story seems to demonstrate that a crow (or at least the crow in the story) has a sense of “one”, “two”, “three”, and “many”. When five men went in and four came out, the crow saw “many” go in and “many” go out and thought that it was safe to return. Interestingly, early twentieth century anthropologists found that the numeric systems of some African, South American, Oceanic and Australian cultures had the same limitations. E.g., the Australian aborigines—who we now realize have a very sophisticated culture—only had numbers for “one” through “six”, and many”. Though crows are very intelligent birds, no one would argue that human beings and crows are of comparable intelligence. It is more likely that the archetypal quality of the smaller numbers is so ancient that it predates humanity itself, and is carried in the heritage of creatures even as primitive as insects. Because human beings are capable of counting (“one, two, three…”), we imagine that is how numbers were arrived at. But when crows can recognize “one”, “two”, “three” and “many”, few of us would argue they arrived at these numeric relationships by counting per se. Instead there must be a pattern recognition, a “primordial image” (to use Jung’s earlier formulation of “symbol”) that corresponds to the smaller integers. In other words, we have an innate sense of what “one” and “two” and “three” mean. Now if we conceive numbers as having been discovered, and not merely invented as an instrument for counting, then on account of their mythological nature they belong to the realm of godlike human and animal figures and are just as archetypal as they. For most of us, however, this archetypal pattern recognition is unlikely to extend past the smaller counting numbers. Since, at this stage, the recognition of number is the recognition of a primordial image or patten, there is as yet little if any distinction between arithmetic and geometry. As soon as arithmetic and geometry split and go different directions, it becomes much less clear that Jung is necessarily right in his guess that all mathematics emerges from the smaller counting numbers. Geometry by its various nature deals with continuous lines and figures and planes, while arithmetic develops out of ever grander extensions of the discrete counting numbers. At the time when Jung was developing these ideas, he was corresponding with physicist Wolfgang Pauli. Pauli, inspired by Jung, was searching for a neutral language which could underlie both the physical and psychological worlds. Being more mathematically sophisticated than Jung, Pauli recognized that the issue came to a head when the development of arithmetic reached the point where it was forced to deal with infinite quantities. If, therefore, a more general concept of archetype is used today, then it should be understood in such a way that included within it is the mathematical primal intuition which expresses itself, among other ways, in arithmetic, in the idea of the infinite series of integers, and in geometry, in the idea of the continuum. At that point, Jung’s speculation becomes identical with Cantor’s continuum hypothesis; i.e., are there any infinities that lie between the infinity of the integers and the infinity of the geometric continuum? Cantor’s continuum hypothesis is simply the question: How many points are there on a straight line in Euclidean space? An equivalent question is: How many different sets of integers do there exist? This question, of course, could arise only after the concept of number had been extended to infinite sets. Though arithmetic and geometry inhabit separate realms, it is inordinately productive when either turns to the other for a new way of thinking about a problem. Descartes vastly increased the power of geometry with his discovery of analytic geometry, which allowed mathematicians to use algebra to solve geometric problems. Going in the opposite direction, Gauss was able to solve the problem presented by imaginary numbers by realizing that they could be viewed as positions on the geometric plane. Back and forth goes the cross-fertilization between the two fields. This is because at their extremes—dealing with the discrete counting numbers and the geometric continuum respectively—arithmetic and geometry seem like very different fields. There is, however, a great fuzzy area where they overlap, since reality itself is more fuzzy than not. Similarly, though at their extremes mind and matter seem totally distinct, the boundaries between the two are fuzzy. There is little black-and-white in the real world. The continuum hypothesis marks the point where the boundaries of arithmetic and geometry are very hazy indeed. There is no dispute that the power set of the countable numbers is the same size as the continuum. But the continuum hypothesis says that there are no infinities that lie between the two. Clearly, starting with the small natural numbers, we build up ineluctably to the countable infinity of all integers. But taking all the combinations of those numbers is a very different thing than merely accumulating. On the human level, we certainly understand how much more complex it is to deal with relationships than with things. We can think of countable infinity as the limit of what we encounter in dealing with the things of the world. The uncountable infinity of the continuum is the limit of what we encounter dealing with the relationships in the world. The higher infinities beyond the continuum are all power sets of the continuum, hence relationships between relationships, etc. Though Cantor remained convinced that the continuum hypothesis was true, from the beginning others were less sure. As always, Gödel had a different take on the issue from the other mathematicians of his time. Since he had already proved that any system at least as rich as arithmetic contains undecidable mathematical truths, he guessed that the continuum hypothesis might be just such an undecidable proposition. …there are (assuming the consistency of the axioms) a priori three possibilities for Cantor’s conjecture: It may be demonstrable, disprovable, or undecidable. The third alternative…is the most likely. To seek a proof for it is, at present, perhaps the most promising way of attacking the problem. One result along these lines has been obtained already, namely that Cantor’s conjecture is not disprovable from the axioms of set theory, provided that these axioms are consistent. The “result along these lines” which Gödel mentions above was his own proof in 1940 that if a modified set theory which does not include the continuum hypothesis, is consistent, then it will remain consistent if the continuum hypothesis is added as an additional axiom. However, this was only half of what was needed to prove that the continuum hypothesis was undecidable within set theory. In order to prove the other half, Gödel needed to show that if a modified set theory which does not include the continuum hypothesis, is consistent, then it will still be consistent if the continuum hypothesis is assumed to be false. Though Gödel made some progress toward a solution, he was never able to prove it, as it was simply too complex to be resolved with the mathematical tools available at the time. Finally, in 1963, mathematician Paul Cohen was able to proved the 2nd half of the problem, thus showing that within set theory, the continuum hypothesis was undecidable. Gödel was the first to applaud Cohen’s achievement. Consider how important this joint proof of Gödel and Cohen was. Gödel’s incompleteness proof had demonstrated that every logical system contains essentially undecidable propositions. Skeptical mathematicians had scoffed that mathematics could safely ignore this result, since the only such undecidable propositions must be strange beasts like the self-referential statement Gödel constructed to prove his theorem. Now Gödel and Cohen had shown that the continuum hypothesis, which was one of the most important unsolved problems in mathematics, was undecidable within set theory. And, since by this time mathematics and set theory were inseparable for most mathematicians, this was a haunting proof. Though this should have been some ultimate vindication for Gödel, he wasn’t satisfied; even before Cohen had demonstrated his half of the proof, Gödel had already conjectured that even if the continuum hypothesis was undecidable within set theory as then constituted, within some extended set theory it would eventually be resolved one way or the other. It is to be noted, however, that on the basis of the point of view here adopted, a proof of the undecidability of Cantor’s conjecture from the accepted axioms of set theory…would by no means solve the problem. For if the meanings of the primitive terms of set theory…are accepted as sound, it follows that set-theoretical concepts and theorems describe some well-determined reality, in which Cantor’s conjecture must be either true or false. Hence its undecidability from the axioms being assumed today can only mean that these axioms do not contain a complete description of that reality. Like most of Gödel’s statements, a great deal is expressed in a short space. Like Cantor and Hilbert, Gödel was confident that set theory is an important positive step for mathematics. In fact, he believed that it necessarily describes a “well-determined reality”, perhaps the mathematical reality which underlies the reality in which we actually exist. Perhaps Jung’s unus mundus? In any case, some “well-determined reality.” And Gödel is confident that the continuum hypothesis must be either true or false within that particular reality. Since he and Paul Cohen together proved that the continuum hypothesis is neither true nor false, but undecidable within set theory as it is currently constituted, then Gödel can only assume that is because the current set of axioms are insufficient to fully define that reality; i.e., that there are further axioms yet to be discovered. There might exist axioms so abundant in their verifiable consequences, shedding so much light upon a whole field, and yielding such powerful methods for solving problems (and even solving them constructively, as far as that is possible) that, no matter whether they are intrinsically necessary, they would have to be accepted at least in the same sense as any well-established physical theory. Whereas Gödel’s incompleteness proof seemed to some to ring the death knell for the development of mathematics, Gödel clearly has faith that mathematics is inexhaustible. He knows that set theory is the right direction for mathematics, and he knows that within an extended set theory, the continuum hypothesis is resolvable, and finally he knows that any axioms powerful enough to enable the continuum hypothesis to be resolved will necessarily be powerful enough to lead mathematics in wonderful new directions. So far, Gödel’s faith has not been justified. Almost fifty years have passed since he wrote those words in 1947, and no extension of set theory has yet been discovered in which the continuum hypothesis can the resolved. Perhaps it is truly an undecidable proposition, or perhaps mathematics is waiting for another Cantor, another Gödel. While we wait, it is intriguing to know that both Gödel and Paul Cohen feel that eventually the continuum hypothesis will be resolved, and when it is, it will proved to be false!
. This says that the continuum is the very next transfinite number after the infinity of the integers. Gödel points out just how far this is from being proved. But, although Cantor’s set theory now has had a development of more than seventy years and the problem evidently is of great importance for it, nothing has been proved so far about the question what the power of the continuum is…Not even an upper bound, however large, can be assigned for the power of the continuum. In other words, there might be one other infinity in between, or a million, or a countably infinite number, or even an uncountably infinite number of infinities in between the integers and the continuum. Cohen believes that there probably is no limit on how many such infinities that there are. might well turn out to be larger than any transfinite aleph…In Cohen’s view, the continuum was clearly an incredibly rich set one produced by a bold new axiom which could never be approached by any piecemeal process of construction. That is where things rest at this point. Jung guessed that the natural numbers were the primary archetypes of order in the psychoid world of the unus mundus, and that all mathematics develops out of the natural numbers. Cantor would have agreed with him 100%. But I wonder if even Jung would have agreed with himself, had he lived longer. For, after all, isn’t the attempt to reduce the world to the archetypes of the small natural numbers much the same as the attempt of Russell and Whitehead to reduce mathematics to logic, the attempt of physicists to reduce the physical world to first atoms, then sub-atomic particles, then most recently to quarks? Isn’t it more likely that the world is richer than we can ever hope to comprehend. After all, we are still very early in our understanding of the archetypal nature of reality. Plato’s argument was that everything we see, hear or touch in the world about us, is merely a shadow of an ideal object existing in an ideal world. Though this is clearly an early attempt at describing the archetypal nature of reality, it lacks so much. Plato’s ideal world lies, like the early views of God and heaven, totally separate from us and our experience. With the shift of emphasis in the Renaissance back to careful observation of the world, we started down a long path that would inevitably lead us to observe ourselves observing. But this realization is only very recent. Jung’s whole psychology developed out of an attempt to deal with the problems presented by the fact that the world outside is somehow contained within our minds, while at the same we and our minds are obviously contained within the world. His depth psychology explored the world within, especially as it found expression in the dreams, myths, fairy tales and other unconscious expressions of human beings. At each level of the psyche, he discovered structure and order. As he went deeper and deeper, it is only natural that eventually he arrived at a level where that structure and order had little or no human qualities attached to it. That was the level of number as archetype. Science proceeded in the opposite direction, by exploring the outer world at ever greater depth. Mathematics plays a pivotal role in that process, since all science depends on quantification, and as science itself becomes more abstract, it requires ever more subtle mathematical tools. Though the scientific method is an tool that can be turned on any phenomenon whatsoever, without mathematics there is no science. Gödel’s incompleteness proof demonstrated once and for all that mathematics is bigger than logic. And so is science; and so are all human endeavors. But, if logic is insufficient, perhaps mathematics, as is develops out of the simple archetypal counting numbers, is enough. Jung thought that there was a unitary reality—the unus mundus—that underlay both psyche and matter, and speculated that the primary archetypes of this unitary reality were the simple counting numbers. In this case, each number is itself a true symbol: undefinable and inexhaustible and undefinable. A much less reductionistic stance that the hope that all reality can be reduced to logic. But even so, doesn’t it seem unlikely that we will ever find any lowest level to reality> Is it really so surprising that the continuum hypothesis proves intractable? The world is a place of magic and wonder. Sometimes in our childish arrogance we overlook that wonder and think our little toys are greater than the world. But then we grow older and wiser and once more our sense of wonder is restored. Jung and Gödel have each in their own way tried to open our eyes to the magic around us, and within us. The archetypal hypothesis is a starting point to explore than wonder, not an end point to circumscribe its possibilities. C. G. Jung, “Synchronicity: an Acausal Connecting Principle,” 1955, in Collected Works of C. G. Jung, Vol. 8 (2nd edition): the Structure and Dynamics of the Psyche (Princeton: Bollingen Series, Princeton University Press, 1969), par. 870. Kurt Gödel, “Russell’s Mathematical Logic”, p. 449. At least in a practical way, if not with formal precision. In fact, Berkeley was one of the few to point to the deeper problems of calculus. But mathematicians were hardly going to worry about the objections of a philosopher. They had work to do developing the implications of the calculus. In Freud’s case, his psycho-sexual theory, as it evolved out of the Oedipus complex. In Russell’s case, his conviction that the entire world could be reduced to symbolic logic. Freud, when confronted with a new set of ideas by his young successor Jung, was unwilling to give up his patriarchal authority stance, or to open the floodgates to the “black mud of occultism.” Russell chose to ignore the three blows he received from the unconscious: (1) his mystical insight that feeling and intuition was primary; (2) the paradox of the set of all sets; and (3) his loss of love for his first wife Alys. Russell, was never comfortable with the demands that his feelings and intuition placed upon him, and retreated into a world where logic was omnipotent. Interestingly, in social issues such as his fights for women’s rights and for pacifism, Russell had the courage of his convictions, even to the point of being jailed as a pacifist during the First World War. Eventually he even broke from his passionless first marriage and conducted a long-term affair with Lady Ottoline Morrell. He received the Nobel Prize in literature in 1950 for his philosophic writings, and lived nearly a hundred years. However, he was never able to confront the inadequacy of his attempt to reduce mathematics to logic. Though he began his philosophical life as a Kantian, he gradually divorced himself further and further from feeling and intuition, until eventually he came to believe in the omnipotence of logic. Freud born in 1856, Russell in 1872, Jung in 1875. Which was to be complemented by a proof by mathematician Paul Cohen in 1963. This will all be discussed later in this chapter. Including continued thought on the continuum hypothesis. C. G. Jung, Memories, Dreams, Reflections, p. 27. Jung’s problem was not so much that he had no mathematical ability as that he saw too deeply into what mathematics actually is. I had a similar experience in the 2nd grade, when a homework assignment introduced the concept of zero. There were a number of problems where zero was added or subtracted from various numbers. The answer was, of course, always the same number. Most of the other children in the class just regarded this as still another rule to be memorized and experienced no more difficulty than with any other such incomprehensible rule. But I sat alone in my room that night, staring at the problems, in tears at their seeming senselessness. How could I add something to a number and the number remained unchanged? And then an understanding burst forth, and I had the first mystical experience of my life. The immensity of the concept of nothingness overwhelmed me. The realization that mathematicians were brilliant enough to be able to capture that immensity in a symbol awed me. I determined on the spot to be a mathematician. Jung’s colleague Marie-Louise von Franz has extended this work in her Number and Time (Evanston: Northwestern University Press, 1974). C. G. Jung, “Synchronicity: an Acausal Connecting Principle,” par. 870. Marie-Louise von Franz, Number and Time, p. 13. Quotation by Leopold Kronecker in Bell, Men of Mathematics, p. xv. Tobias Dantzig, Number and the Language of Science (New York: MacMillan Company, 1954), p. 3. In fact, the Australian Aborigines actually limit themselves to “one” and “two”, then use composites of “one” and “two” to make up numbers up to “six”. For example, “three” is “two” and “one”, “four” is “two” and “two”, “five” is “two” and “two” and “one”, “six” is “two” and “two” and “two”. They count in pairs, so that they wouldn’t be likely to notice if two pins were removed from a heap of seven pins, but would instantly recognize if only one pin had been removed. See Tobias Dantzig, Number and the Language of Science, p. 14. C. G. Jung, Collected Works, Vol. 10: Civilization in Transition, par. 776. Jung’s emphasis. 1729 equals both 12 + 1, and 10 and 9. Anecdote from Robert Kanigel, The Man Who Knew Infinity (New York: Charles Scribner’s Sons, 1991), p. 312. Quotation by Wolfgang Pauli, in Charles R. Card, “The Archetypal Hypothesis of Wolfgang Pauli and C.G. Jung: Origins, Development, and Implications”, in K. V. Laurikainen and C. Montonen, eds., Symposia on the Foundations of Modern Physics, 1992 (Singapore: World Scientific Publishing Co., 1993), p. 382. Kurt Gödel, “What is Cantor’s continuum problem?”, p. 254. The power set is all the combinations of the natural numbers, taken one-at-a-time, two-at-a-time, on-and-on. Which remember is the same size as all fractions or rational numbers. Joseph Warren Dauben, Georg Cantor: His Mathematics and Philosophy of the Infinite, p. 269. Though as we will see later, Gödel ultimately hoped to prove the continuum hypothesis to be false within a broader mathematics. Kurt Gödel, “What is Cantor’s continuum problem?”, p. 259-60. Note that mathematician Paul Cohen later proved the reverse, so that Gödel’s conjecture did, in fact, turn out to be true; i.e., within set theory, Cantor’s continuum hypothesis is undecidable. Or the axiom of choice, which Gödel proved to be equivalent to the continuum hypothesis. In 1977, Paris and Harrington discovered a “numerically simple and interesting proposition, not depending on a numerical coding of notions from logic, which is undecidable. See Kurt Gödel’s Collected Works, Vol 1, p. 140. Kurt Gödel, “What is Cantor’s continuum problem?”, p. 260. Kurt Gödel, “What is Cantor’s continuum problem?”, p. 261. Note that this is almost exactly what Jung meant when he discussed psychological truth. In such cases, reference to physical reality for determining truth or falsity is beside the point. Kurt Gödel, “What is Cantor’s continuum problem?”, p. 256.